Previously: Jin Kazama and Ryu fought in a swift but brutal fight, in which Jin Kazama emerged the victor. 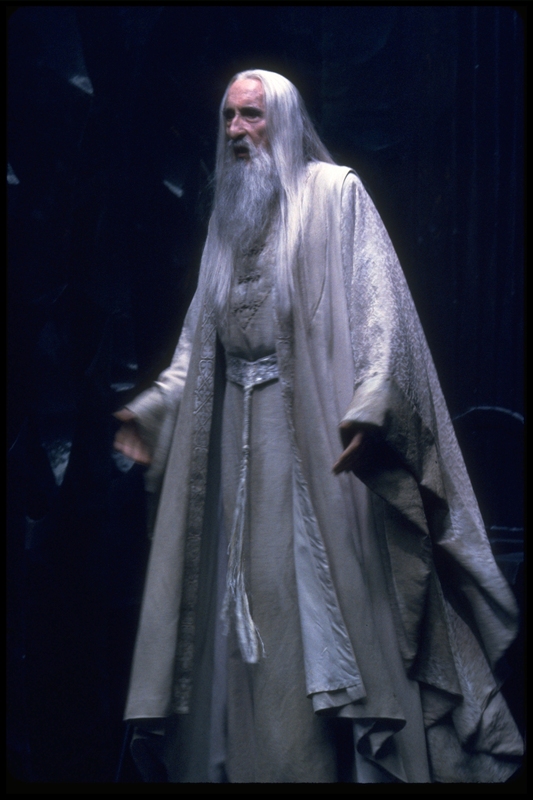 He returned to his erstwhile companion, Morgana Le Fay, and the witch revealed another ally – Saruman the White, who has begun to discern the nature of the world. Jin Kazama, fresh from his victory over Ryu, collapses in a heap before the fire, exhausted. Morgana cast an appraising glance at him, then returned her attention to the White Wizard. Hooded and cloaked, he carried himself like a king, cradling his staff. ‘Have you discovered something?’ the witch asked. ‘You’re an introspective fellow,’ said Morgana, smiling slightly. His voice trailed off at the end. He seemed troubled at what his future held. There was a loud crack at the entrance of their cave, and Jin sprang to his feet, prepared. Morgana raised her hand and closed her eyes, trying to sense the nature of the threat. Saruman smiled. ‘Yet another of the malformed ones. Do not trouble yourself, Jin,’ said Saruman. This will be but a trifle.’ He tapped his staff upon the ground and a soft halo of light surrounded its tip. There was a rush of wind and then a pale figure stood, suddenly, before them, stripped to the waist. In the light of Saruman’s staff, his body glittered like diamonds. ‘Bella…’ he sobbed, tears running down his face, which seemed torn between sorrow and rage. ‘You KILLED her!’ he screamed, then rushed at the wizard. Saruman flicked his staff once and the vampire was blasted right back out of the cave. ‘Beggars can’t be choosers,’ Morgana told him. ‘A wizard is neither,’ said Saruman. He shook his head and stalked out of the cave. ‘He’s a strange one,’ Jin said, watching him go. Edward Cullen went sprawling into the dirt, turned end over end, and it was fortunate that he was what he was, or he might have snapped his neck in the tumble. For a long moment he lay there, unable to move. Then he thought of Bella, and how she lay in his arms. She had looked so still, so peaceful. He had often watched her sleep when she was human, and it had been almost like those days, days when love was both sweet and complicated. He had been too late to stop the wizard. For the longest time, he remained there, thinking that it would be best never to rise again. But while the wizard still lived, he had a reason. He clenched his teeth and his hands into fists and rose to his feet. The White Wizard was approaching. Edward roared inarticulately and rushed at the wizard again. This time, the Istari’s staff flicked downwards, and a crushing weight fell on the vampire’s shoulders, pushing him into the ground. The force continued to crush the vampire, and all around a wind whipped around them. From high above, a Steel Arbiter was descending. Apparently this was enough to be adjudicated. The weight eased at last, and Edward cried out in sudden relief. He rose to his feet, and stared with hatred at Saruman, his intention clear upon his face. Then he leapt at Saruman. This time Saruman raised his hand and Edward froze in mid-leap. ‘So you have chosen death,’ said Saruman. Saruman raised his staff and a shaft of purest white light burst forth, bathing the screaming vampire in a scorching radiance. Edward yelled and writhed, his limbs flailing, helpless, his rage halted, impotent. All he could do was scream and the sound of it echoed across the plain. At last his scream faded as the sorcery turned his form to ash, and his ruin was scattered across the barren land. Edward Cullen was no more. Almost as an afterthought, a single, dim light manifested above his scattered remains, and the Arbiter raised its steel-clad hand. 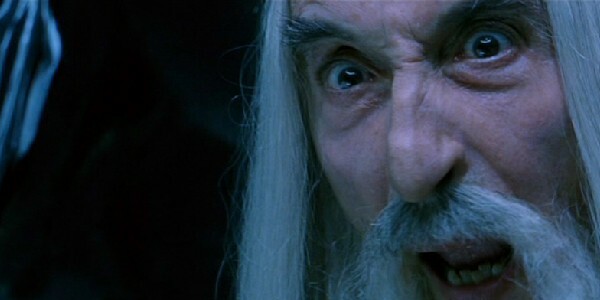 The light drifted over to Saruman’s staff and he took it within himself. His expression crinkled in distaste. ‘Another useless light,’ he said. But he took it, knowing that whatever simple truths the vampires lived by would allow him new perspectives, by which he might yet come to perceive the Truth underlying the world. He recalled the memory of winds whipping around him as he stood atop the tower of Orthanc, gazing up at the lights of a now-distant world. He remembered the old fire and the wizards, his companions who journeyed with him across the sea to a darkened land. Valinor was a memory, one that filled him with longing, and, for reasons he could not yet understand, shame. Something had gone awry, but he knew not when or how, as is often the case with good intentions. He sensed something, far to the east, and knew another power was rising. A flash of green light filled the sky, accompanying a high-pitched shout. Then the clouds above took the form of a skull, with serpents writhing within its eye-sockets. There was something worth pursuing! But he tempered his enthusiasm as he looked down at the pile of ash and filth – all that remained of Edward Cullen – and he mused that future battles would not be so simple. Read the Battle of Ryu vs Jin in Troll Issue 6 here! Looking forward to seeing more fantasticals get murdered by their equally fantastical counterparts. Fantastical!